The statistics show small children under five years are the most vulnerable, especially around the home – where we are most relaxed and where we think they are safest. As tradesmen and builders, you can make a difference by putting the physical barriers to vehicle areas in place- creating safer homes and driveways. 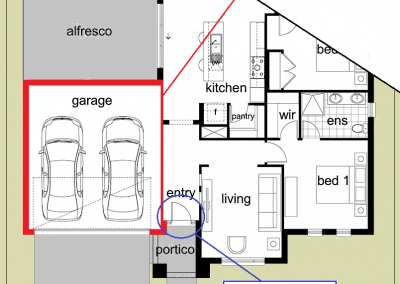 Consider the following when designing and constructing new homes and units, and renovations, especially those with attached garages. With this in mind- do we have a duty of care towards families, by builders, to have such inclusions in our building work? Legislation for the building industry requires us to provide for construction of safe residences. Layout: if possible keep attached garages away from kitchen/living/rumpus room type areas, where children would be likely to spend most of their time. We urge builders and tradesman to consider this on each new home or unit that they construct (with an attached garage), or at the least, to discuss with their clients. Compared to current practice there is very little extra cost involved. This cut-off switch prevents vehicles going in or out of the garage while someone is leaving or entering through the access door into the house. 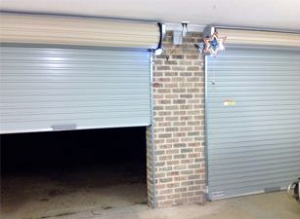 A device is fitted to the roller door motor, and the internal access door is fitted with a magnetic field device (eg reed switch). When the internal door is opened, the power to the roller door motor is cut off, and it will not open. When yourself or workers go out to a domestic job, what is the company policy regarding where the vehicle is parked: in the driveway or in the street? Do you or your staff conduct a ‘Circle of Safety’ before they get in and drive any company vehicle? What’s the company policy on reversing cameras and rear braking systems for fleet vehicles? These tools are useful not just in everyday driving but on the worksite too, and could help avoid accidents. Is it practical to fence the driveway, or at least have a safe fenced off area out the back where children can play, away from areas where vehicles are moved around the property? A public consultation paper and report on Driveway Design Guidelines was released late 2013 by the Department of Infrastructure and Transport. The voluntary document is based on 6 broad principles listed here, and includes a variety of suggestions for builders to consider when designing and constructing residential properties. 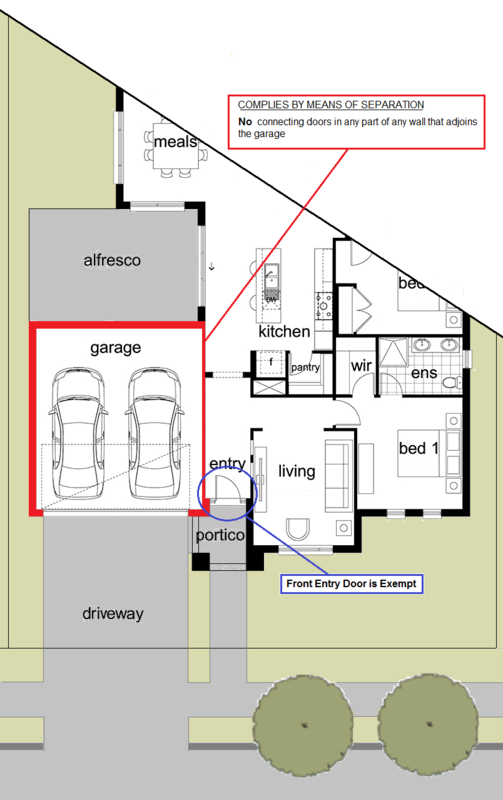 Recognise the vehicle areas on the property as a risk zone (garage to street). Limit the size of vehicle areas, and the speed and number of vehicles accessing them. Reduce unintended access to vehicle areas by young children. 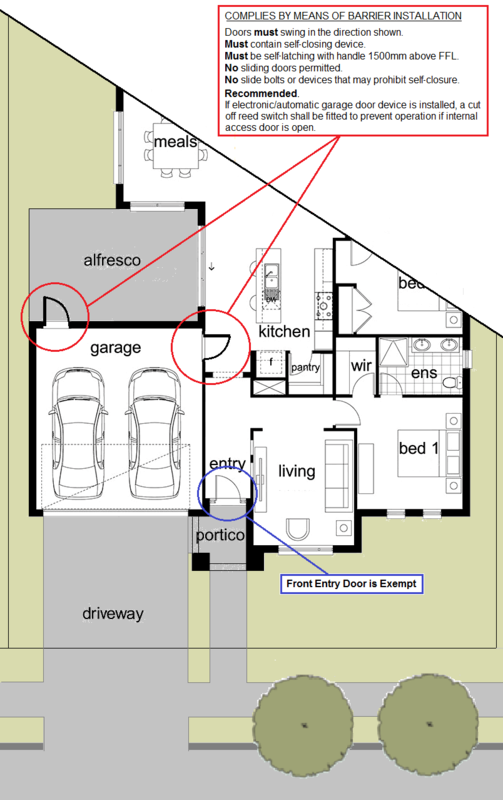 Make vehicle areas and their surrounds clearly visible from inside the house. Make vehicles areas and their surrounds clearly visible to drivers leaving and entering the property. Increase visibility for both pedestrians and drivers at the junction between the driveway/garage and the footpath. In 2012 Young Shire Council accepted changes in the DCP including those listed above for the doors, for new homes applications from October 2012. Section 2.1.5 of Young Shire Council’s Development Control Plan indicates what is acceptable when renovating or building a new house or unit. The diagrams below, courtesy of Cootamundra Shire Council, give a visual idea of the DCP changes. Please click on the images to enlarge.